It is located in Molla Seref Neighborhood which also includes Haseki Hospital on the south bench Millet Avenue in Findikzade. 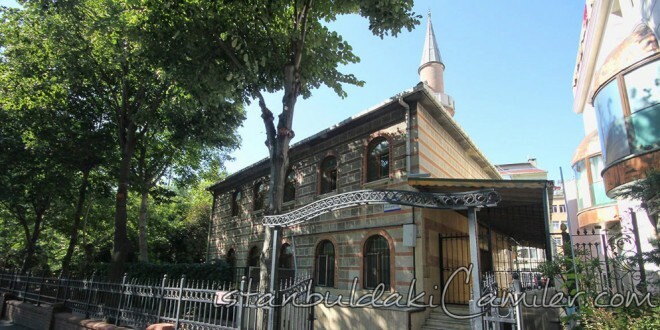 The mosque was constructed upon the order of Şerafeddin b. Kemaleddinü’l-Kırımî, one of the prominent scholars of the period of Mehmet II (The Conqueror). According to the epigraph the date of construction is 1524. There is a 10 years difference between Tahsin Oz and Ayvansarayi concerning the date of construction. On the other hand Ekrem Hakki Ayverdi asserts that “Molla Seref was supposed to be 130 or 150 years old in that period in addition to that he died in Bursa in 1436 and despite the name on the endowment the actual constructive could be some other Seref or that the epigraph might have been put for another reason. Out of the mosque which became a ruin throughout the time only the remnants of the minaret and residual walls had remained. The mosque was reconstructed in concrete form with the help of people and opened to worshipping.